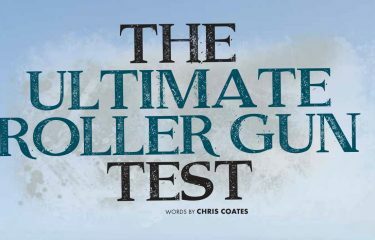 A recent discussion on the USM forum regarding reelguns vs conventional buoyline setups sparked some interesting topics, one being ‘How to attach your shooting line to your reel line’. 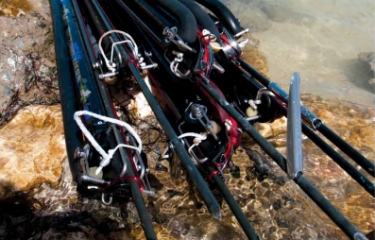 Traditionally, clips were used in the past, but as they often snag your line and make a noise, spearfishermen in the know have progressed to using a simple Quick Release knot to secure the 2 lines. 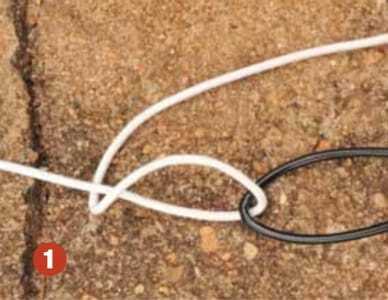 One of the guys posted a very informative pdf showing how to tie the Quick Release knot. This was the same standard knot I had been using for some time without fail. However, just recently I discovered a different variation of the knot, which is superior. 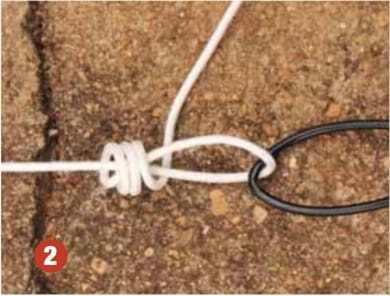 The knot may not be as simple as the standard Quick Release knot, but it forms a neater knot and tightens up easier when tied. I can hear my grandfather’s words to me as a youngster tying fishing traces: “A neat knot is a good knot.” This saying has always stayed with me, reinforcing my 2 basic rules by which I judge the value of a knot: how easy the knot comes together when tied, and how neat the final knot is. To release the knot pull on the free tag end and the knot will unwrap. Some guys tie a small knot on the end of the tag line. 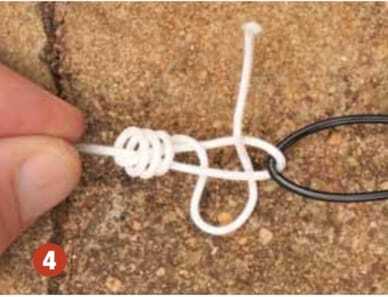 I suggest that you don’t do this, as the whole idea is that if the knot passes through a fish, rocks, or even your gloves, the looped end will snag and pull the tag end through the knot forming a permanent knot. This knot will probably not come untied and will have to be cut off, but that’s better than losing your spear. If you tie a knot on the end of the tag, then it will not pass through and form a permanent knot. Worse still it could get snagged and release the knot, and you will lose the fish, spear and shooting line. Don’t think it won’t happen… the only time I ever had a Quick Release knot fail was when I had a knot on the tag end and it got caught in a tear in my glove. 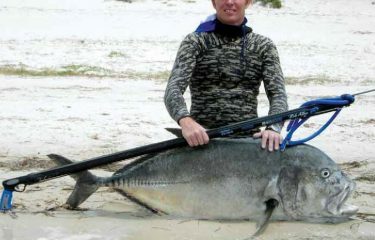 I lost a good fish and spear that day and was left swimming back to shore with just a gun! Loop the reel line through the loop on the shooting line, and pass it under as if you were going to twist the two together. Wrap the reel line around itself 3 times going back towards the shooting line. Pull a loop through the gap leaving a tag end. Holding the shooting line and the reel line just pull the knot tight. You now have a knot that will not come undone and will hold the biggest of game fish. 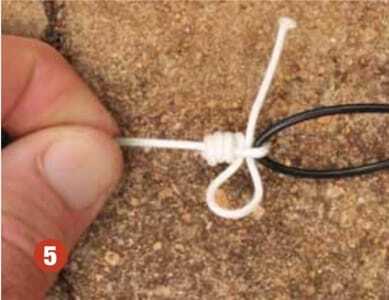 Tip: Use about 20cm of line when starting your knot and leave the loop and tag ends nice and long. This way the knot will be easy to handle, and easier to tie. P.S. 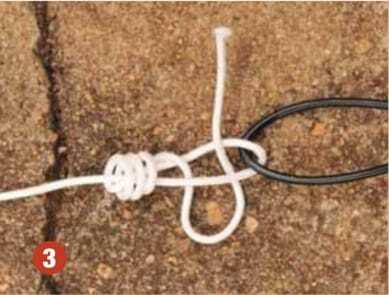 This is not the only Quick Release knot that works. The Slipped Buntline knot is another good one. It’s just a bit more fiddly to tie, but does release very quickly and easily. This might be an option for guys doing very deep diving in caves etc who want to be able to untie very fast and with greater ease.